Kraftwerk in Montreal or Quebec City? Inform me about the next events for Kraftwerk. 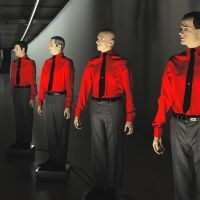 Enroll yourself to our priority waiting list for Kraftwerk to be alerted when new tickets are available. Filling this form doesn't engage you to any purchase. Mythic German electro outfit Kraftwerk will be performing in Montreal on March 30th, 2014. The concert is set to take place at the Metropolis. What an opportunity to witness first-hand one of the most influencial bands of the 1970's and 1980's. Don't miss Kraftwerk as they come to Montreal with this exciting 3D spectacle !